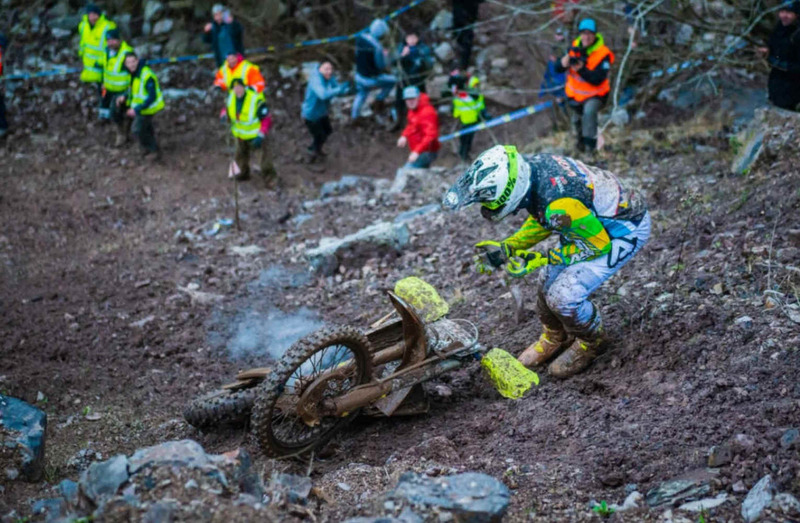 Here is some BIG Extreme Enduro news.. The Michelin Tough One, The UK's #1 Extreme Enduro and famous the World over, for the last 15 years been seen by many as generally the start of the new season and the event that kicks it all off for the new year… In recent times other events have started to run in January getting earlier and earlier in the process and with the risk in January of the event being cancelled due to snow and really adverse weather , T1 Organiser and Creator, Steve Ireland, has made the logical decision of giving this amazing event a new date and month to run in for the future editions of the annual Extreme Extravaganza. The Event will now move to a permanent October Date, still in the simply amazing Nantmawr Quarry, The home and origin of UK Extreme Enduro where Steve's old Wirral Off Road Club started it all back in 2005, the atmosphere, course design and spectator and rider camaraderie are unsurpassed in this haunting, daunting and truly iconic Shropshire Venue. Now having had the recent 2019 Michelin Tough One back in January ..it would mean that O ctober 2020 is 20 Months away….. Well don't panic…You will not have to wait that long as the MICHELIN TOUGH ONE is going BACK TO THE FUTURE!! In the events 15 year history ..There is a list of winners next to all the years ..from 2005's David Knight through to 2019's Graham Jarvis .. But in that mix in 2017 ..There was no Winner as no event took place due to land issues. It's a shame that the 15 year history is not intact and complete ..It soon will be though.. The NEW FORMAT - BEST OF EVERYTHING…ALL IN ONE DAY..
Nantmawr Quarry will host the missing 2017 edition and expect a full on and ferocious feast of Extreme Enduro Action. The recent Tough One with it's new sprint format and the "Fist Full of Dollars" Super race went down a storm and the new T1 will run all the best bits that the T1 is known for with a new two day format .. The riders (all classes) will now get 4 special tests in the morning session. Then a 1.5hr Hare Scramble (a lot of the spectators missed this, running to the bike start, mayhem on hills etc ) in the Afternoon session…Then a Super Final 4 lap "Hot Race " for the top 6 will end the day's action.. The Saturday will be for the OVER 40 / OVER 50 / SPORTSMAN / NOVICE riders. The Sunday will be for the PRO / EXPERT / CLUBMAN riders..
More news as and when it happens, But for now ..PUT OCTOBER 12/13th 2017.. Sorry….OCTOBER 12/13th - 2019 in your race event schedules and go back to the future for the next Edition of the MICHELIN TOUGH ONE EXTREME ENDURO.